Premium microSDHC card with adapter offers a removable storage solution for mobile devices with optimal performance for demanding applications from high-megapixel digital photography to high-definition video recording. Class 10-rated design offers superior video capture/playback characteristics and fast photo upload/downloads. 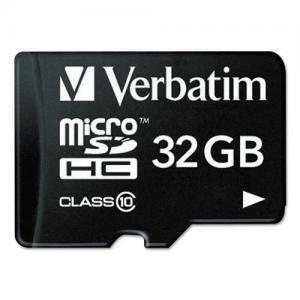 32GB card is compatible with all microSDHC slot-equipped devices. By using the included microSDHC-to-SDHC adapter, you can also use this class 10 microSDHC card in any SDHC slot-equipped camera, card reader or computer.